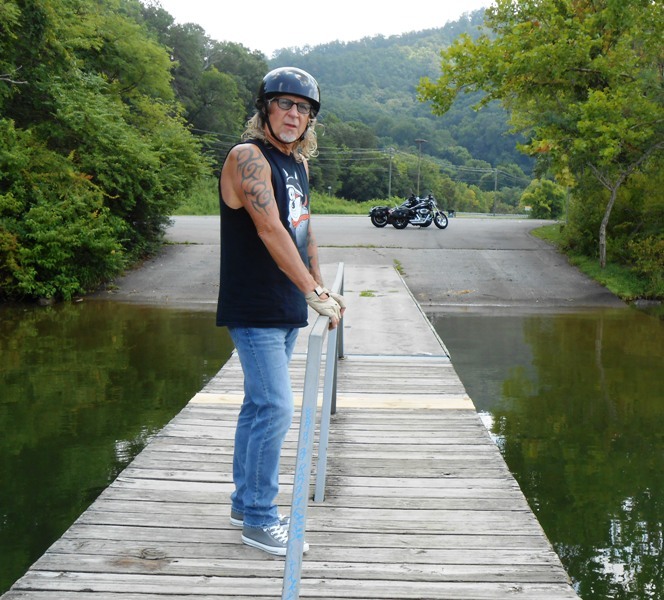 Jeff is ready to ride! 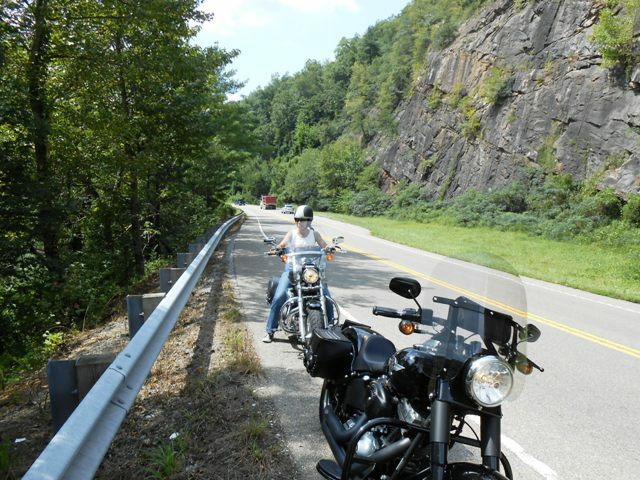 On Wednesday, August 20, 2014 we took another Day Ride. 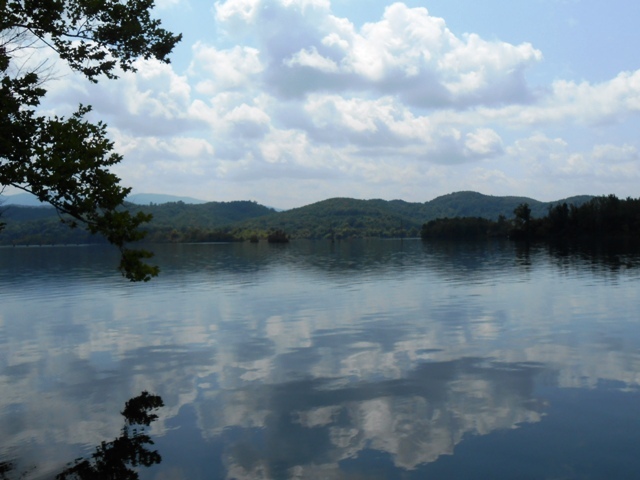 Our destination was lunch at the Tellicafe in Tellico Plains. We left our home at 10:30am. It was warm with beautiful blue skies and only a 10% chance of rain. 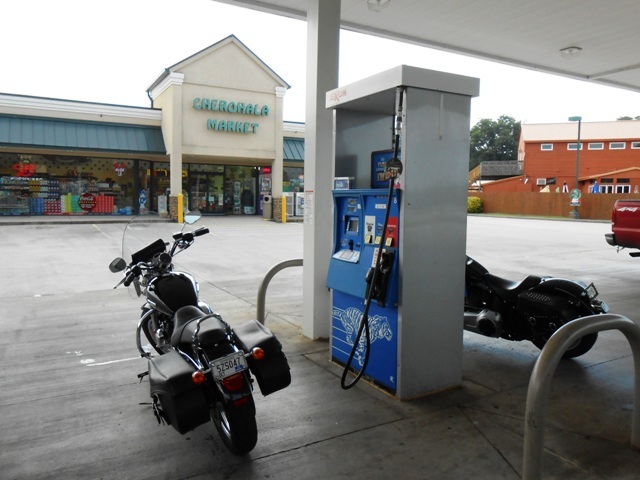 We rode through Knoxville and took Chapman Highway where we stopped in Seymour to fill our tanks and have our morning snack. 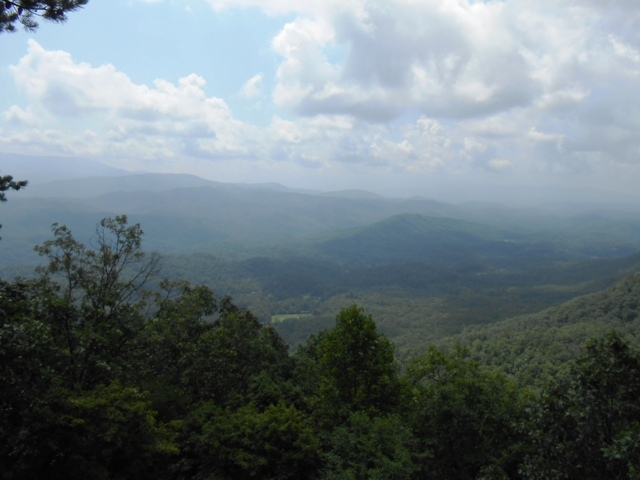 From Seymour we rode south into Sevierville, rode into Pigeon Forge and then took 321 through Wears Valley and into Walland. Lots of bikes out today. 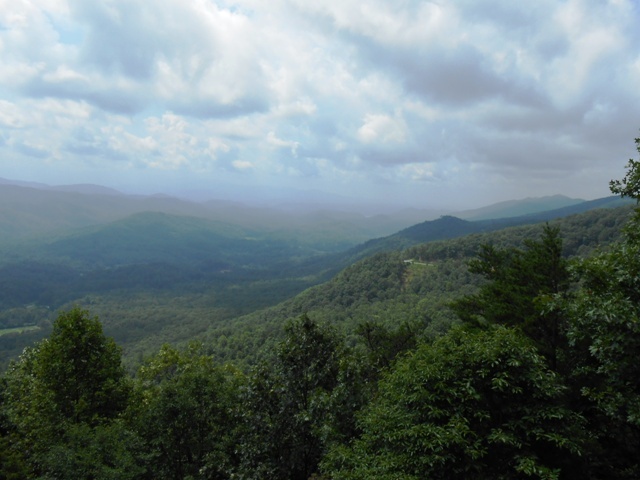 In Walland, we took the Foothills Parkway. 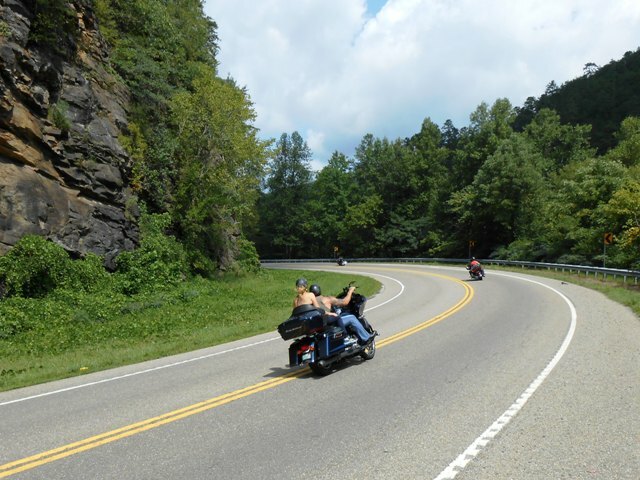 Bikers out enjoying the day. Taking photos of signs is mandatory, don’t you know. 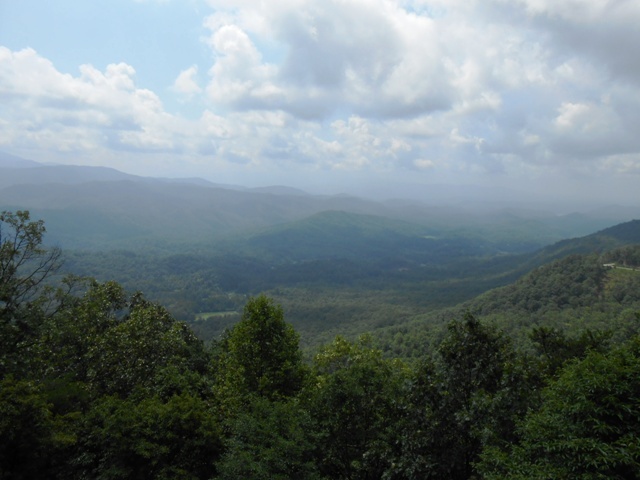 We traveled up the Parkway stopping at the scenic views. 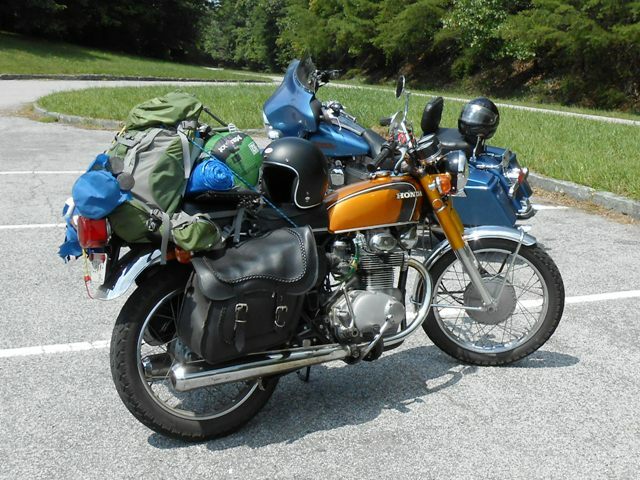 Cool bike on the Parkway. 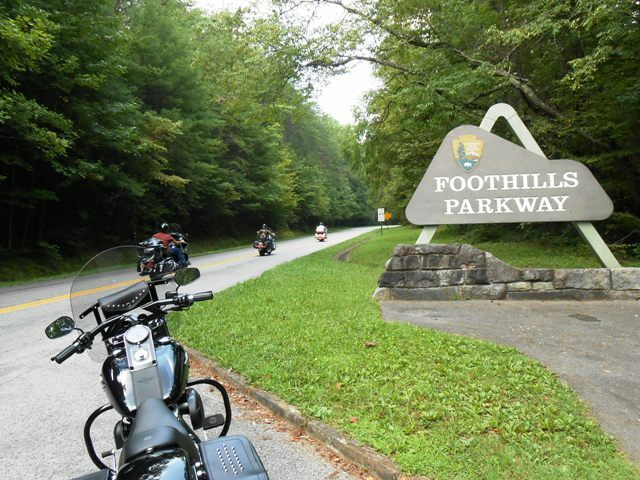 After gawking awhile we continued on the Parkway over to 129 where we rode north through Tallassee. 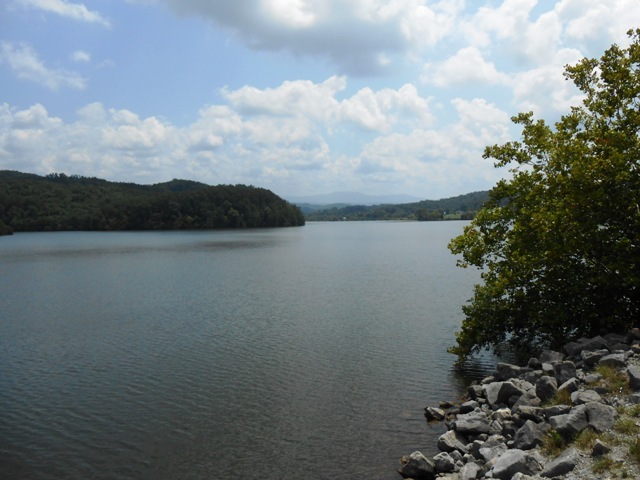 We stopped at the boat ramp access along the Little Tennessee River to get a good view of the waterway. Jeff sure gets tired of me taking his picture! From 129 we took 72 into Vonore, then took 360 which is a beautiful country road. 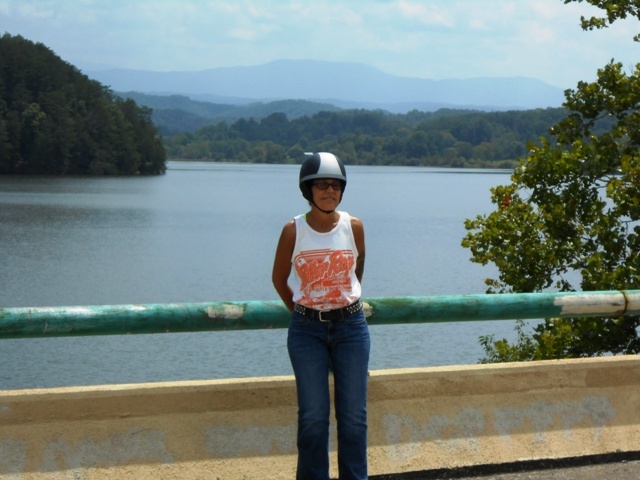 Along 360 heading toward Tellico Plains. 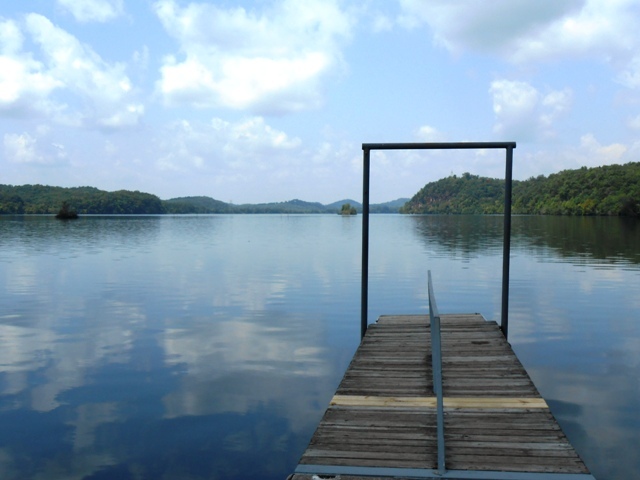 Tennessee is a water lovers dream! There’s me, Pamo, on the bridge. 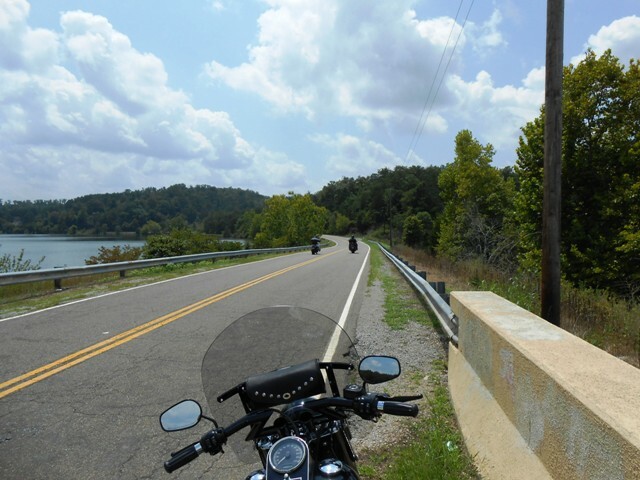 360 is a beautiful country road that took us right into Tellico Plains. 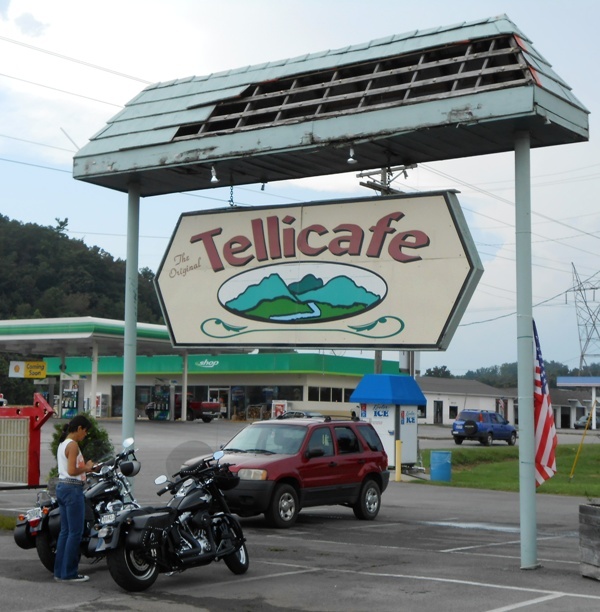 In Tellico Plains, we stopped off at the Tellicafe. 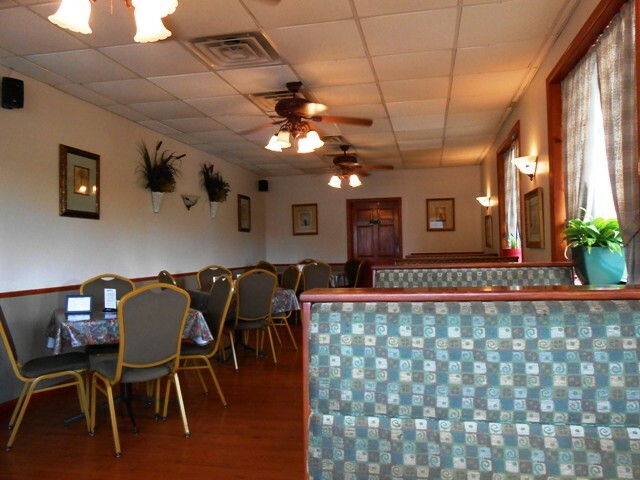 The Tellicafe in Tellico Plains. Tellicafe, a great place to eat! Jeff says this was one of the best meals he’s had! 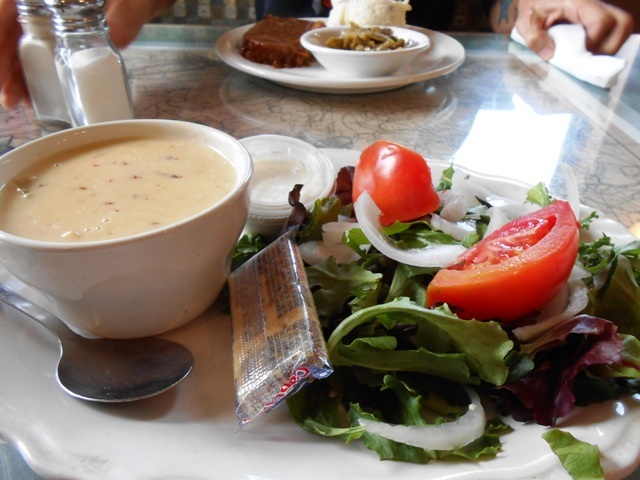 And this soup and salad was fabulous! I really loved it. The interior is fresh and clean. The staff is friendly. 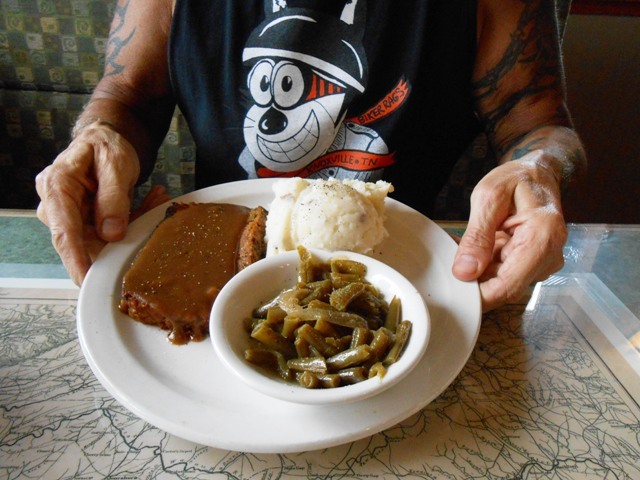 Next time you are in Tellico Plains, stop in at the Tellicafe, right off 68 across from Hardees. It’s a great place to eat! 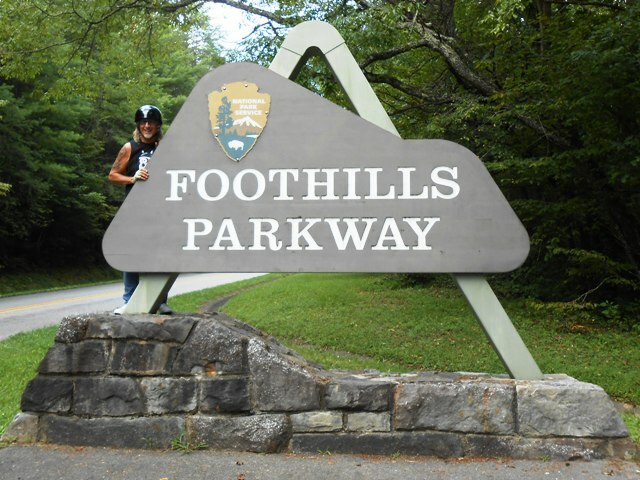 From Tellico Plains we had planned on taking 39 to Englewood but the skies had gotten dark. It was looking stormy and we could hear thunder. Unfortunately, our smart phone didn’t have a signal to check the radar. We got fuel then tried to outrun the storm. We backtracked to 360 and rode to Ballplay Road where we stopped to put on our textile jackets. It was just starting to sprinkle. While we were putting on our jackets, a nice fellow in a truck stopped to tell us there were tornado warnings and that Madisonville was without power. He said he had just come from Vonore and it looked okay that way. We decided to head toward Vonore. We took 360 back toward Vonore and it started raining pretty good. Fortunately, the stronger storms were staying off to our west. We got to Vonore and stopped to check radar but our radar still wasn’t working. It was raining almost any direction we could go. So much for the 10% chance of rain. We decided to take 411 south figuring that if the storms got read bad, there would be places to pull off safely. 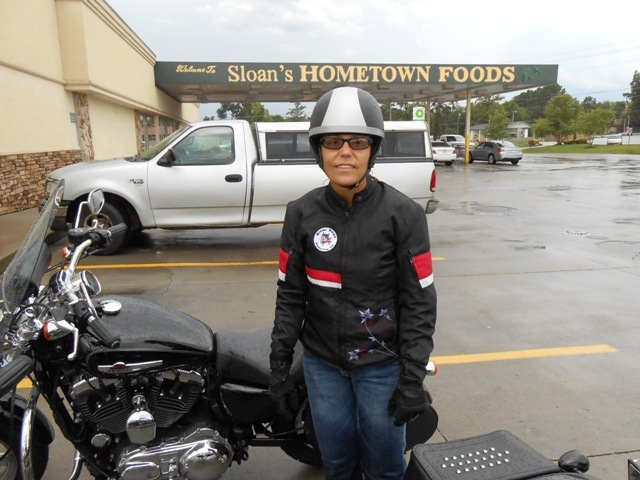 We were still riding in the rain but it had slowed. 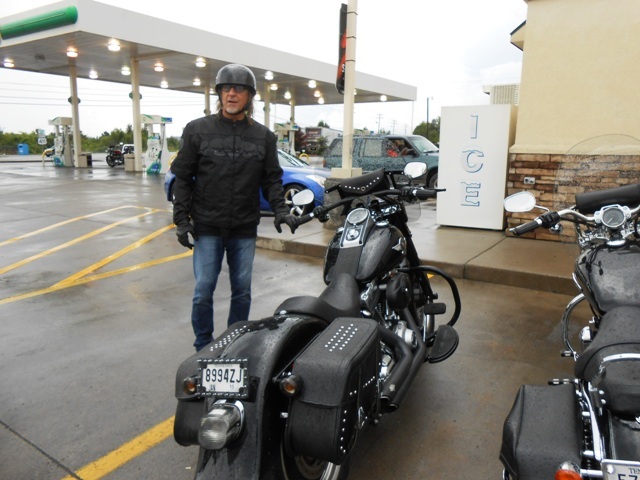 We rode safely into Maryville, then took 129 back to Knoxville. We got home right at 6 pm and had a good laugh at our “adventure” ride. Later when we found out just how close we had been to some pretty bad storms, we both said an extra “thank you” prayer. 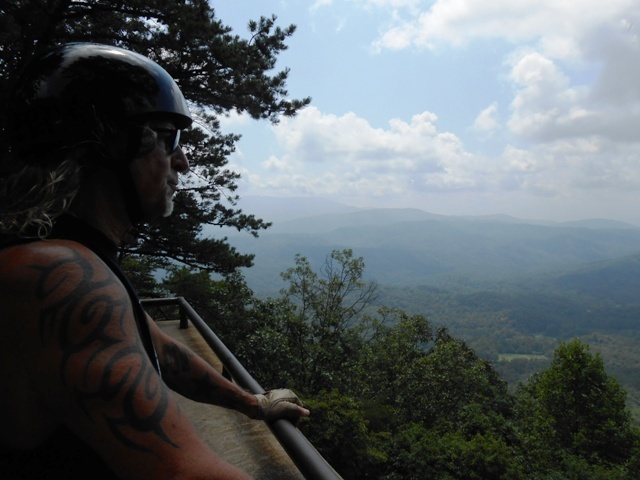 This entry was posted in Day Ride and tagged Biker Rags, Day Ride, Tellicafe, Tellico Plains. Bookmark the permalink.